Table football hire is a good old fashioned pub game that will be enjoyed by all. The game is simple, using the handles to control your players, you have to score a goal at your opponents end – no spinning allowed though. With the ”table football hire”, you can either play one v one, or play in teams. The table football games are great, they are quick fire fun and all your guests can play whatever their ability. We hire table footballs throughout the UK to a wide range of clients from company parties to fun days and they are always very popular. The table football hire is a great fun game that will be enjoyed by all. You can just have the tables set up so guests walk past and have a go, or you can have a fully structured team competition, the options are endless. The table football tables for hire are great for any football themed party. The bar table football hire is a great game for two or four players. As part of the traditional pub games hire, we hire table football tables, for fun games or tournaments. The pub games hire packages are great. When you hire table football games you get a quality table. Hire table football game for your next event. 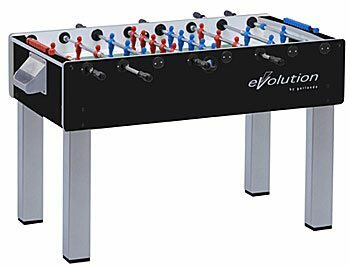 We hire football tables throughout the UK and the table football for hire is very popular. We hire table football games to a wide range of clients and the pub style table footballs are the best. The table football table is great fun for all ages. The table football party hire is the best. Our table football hire is great, they look the part and are very sturdy, we have multiple tables so can cater for large events of competitions. Why not have a few other games like the pool table and the skittle alley and really turn your next party into a pub games night – you could even add the pub quiz to boot? The table footballs are great fun and will be enjoyed by all. We supply the table footballs throughout the UK and have a wide range of clients from company parties to weddings, we even supplied the England football team table footballs for one of their get togethers. Table football hire is great fun.